If you’re afraid of heights, this journey possibly isn’t one for you. 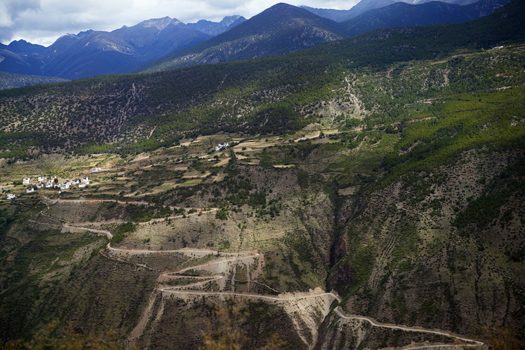 This 1,331 mile stretch of highway connecting Chengdu, the capital of Sichuan province, with Lhasa in Tibet climbs to 15,420 feet above sea level at its highest point. Part of China’s National Highway 318, it traverses 14 high-altitude mountains and includes a large number of testing hairpin bends. One stretch includes 99 switchbacks, as the road descends 3,937 feet from the top of the Yela Mountain. The Si Du River Bridge also provides a test of nerve as it has the world’s highest vertical clearance.